Should I stay or should I go? That's become the question for millions of rural workers now that the Chinese New Year holidays are over. Rural workers, who have long gone to big cities for work, now have many opportunities at home as local governments strive to provide jobs and businesses. Once looked down upon and seen as a problem in many cities, rural workers have become desirable. It's a major shift that sheds light on the complex transformation in the Chinese economy, where an economic slowdown and fresh opportunities coexist - as do unemployment challenges in some areas and labor shortages in others. "It is indeed a big change," said Jin Guomin, a contractor who has been recruiting workers from his remote hometown of Liangshan Yi Autonomous Prefecture in Southwest China's Sichuan Province. "A few years ago, my phone would not stop ringing around [the Chinese New Year] with people asking for jobs. I didn't need to go and look for workers myself." But this year, Jin, who has signed some construction deals in Beijing and Shenzhen, South China's Guangdong Province, had to post job ads on his WeChat. The "Beijing Fengtai [district] rail station project starts after the [Chinese New Year], if there are some good reinforcing iron and rebar workers, please contact me. The salary is guaranteed to be satisfactory," read one of his posts. The reason behind the change, Jin said, is that many older rural workers now prefer to find jobs close to home, while the younger ones are "very picky" about what they'll do. "I think they have different options. They also have things to do in their hometowns now," he said. The trend is not unique to Liangshan, a poverty-stricken area that has seen thousands of its rural people work elsewhere. But this year, between 60 and 70 percent of older rural workers chose to stay back home accorss the country, according to Zhou Li, a professor at the School of Agriculture Economics and Rural Development at the Renmin University of China in Beijing. In 2017, the number of rural workers born after 1980 surpassed the number of those born before 1980 for the first time. They accounted for 50.5 percent of the total of 286.52 million, according to the National Bureau of Statistics. 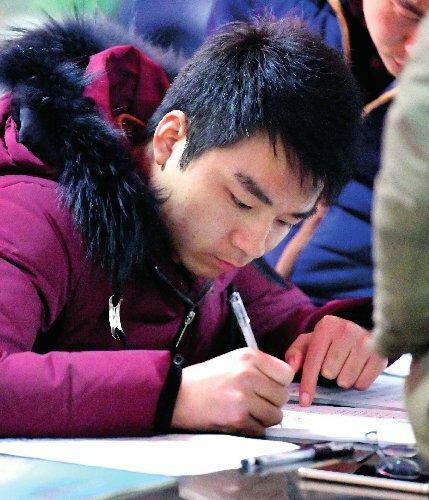 But an increasing number of younger rural workers have chosen to find jobs near home or start businesses, Zhou told the Global Times on Tuesday. "Many rural workers have saved some money, learned skills and built networks in the cities. But sometimes they can't use those assets in the cities, so they are willing to go back home, particularly with some policy support," Zhou said. As part of the country's goal of building a "moderately prosperous society in all aspects," the central and local governments have announced many policy support and investment measures aimed at eradicating poverty and spurring economic growth and urbanization in rural areas. In 2018, the central government invested as much as 540 billion yuan ($79.7 billion) in rural supply-side reform and other major projects, according to the Ministry of Agriculture and Rural Affairs. At the Central Rural Work Conference in December, a key meeting focused on rural policy for the coming year, top leaders called for speeding up measures to boost the economy and support "all kinds of talent" to start businesses in rural areas, according to the Xinhua News Agency. After that meeting, measures were introduced by provincial-level governments in Sichuan, Northeast China's Jilin Province and East China's Shandong Province, among others. In Sichuan, to attract rural workers, the provincial government introduced 22 measures to support such workers to start businesses at home, including loans and streamlined administrative processes. Factories along China's east coast are seeing a shortage of labor as many rural workers never came back after the Chinese New Year holidays. Some factories even took deposits from workers to ensure their return, according to some media reports. "China's economy is so vast that if one area is down, another will be up," Zhou said, noting that at a time of economic hardship, the rise of the rural economy offers a bright spot.